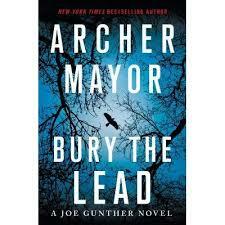 Archer Mayor will read and discuss his new book “Bury The Lead”. Monday November 5th at 7 pm. Dummerston Community Center, 150 West Street, West Dummerston, Vt. 05357. Free event, light refreshments will be served. Books will be available for purchasing and for autographs. Event is a benefit for the Dummerston Community Center operating and maintenance expenses. All are welcome. The Center is handicap accessible. For information call: Ann 254-2415 or Jean 254-9212.